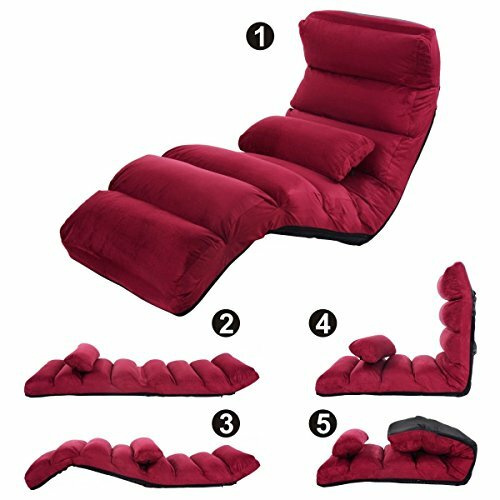 Our Burgundy folding lazy sofa chair provide a extreme feeling in your leisure time. With the folding feature, this lazy chair can be used as a sofa, or a bed, which is comfortable and convenient. The steel frame make this lazy sofa chair durable and can serve you a long time. Thick sponge cushion and a pillow will add comfort. This lazy sofa chair is perfect for floor use , playing games, watching TV or reading.